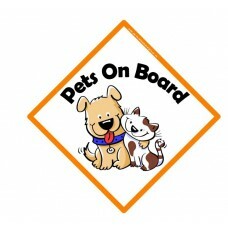 Pet on board car signs, woof woof! 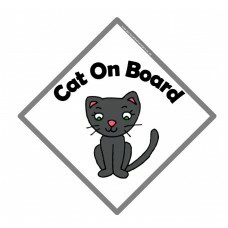 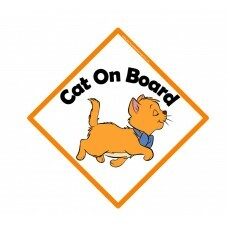 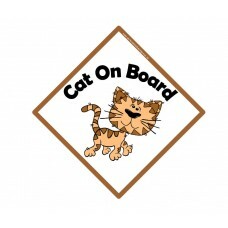 A happy cartoon cat on board car sign..
A cute and confident cat on board car sign..
A black cartoon cat on board car sign..
A gorgeous line drawn cat on board car sign..
A gorgeous cheeky beagle on board car sign, why not ask to have the name tag personalised with your ..
A brown Labrador on board style car sign, a head shot with wide eyes and his tongue sticking out on ..
You might have seen some dog on board car signs in your local pet shops recently, but your dog isn..
A patch spotty dog on board similar to a Dalmatian with his tongue sticking out on the side..
A happy smiley dog on board sign with big flappy ears and his tongue sticking out..
A happy and cute dog on board car sign..
A happy smiley pets on board sign ..
A cuddly pair of pets on board sign ..
A brown dog and white cat on board sign ..
A brown dog and ginger cat on board sign ..
Pets on board car signs are a great way to let others drivers know that your pet is on board. 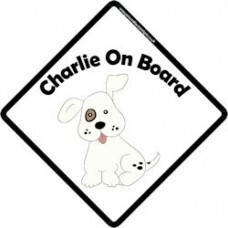 Because your petis not safely strapped down in a car seat, and you tend to break slowly to ensure they are not thrown around the car, the last thing you want is another driver ploughing into the back of you whilst your dog is on board. 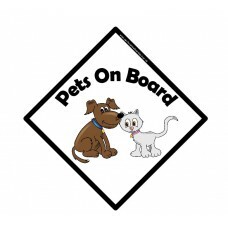 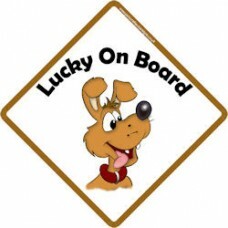 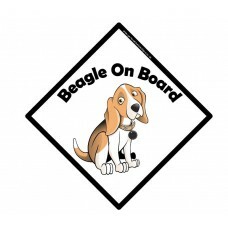 Dog on board car signs are a great way to let others drivers know that your dog is on board. 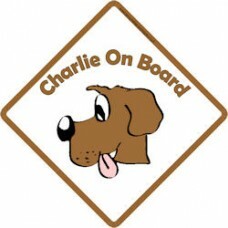 Because your dog is not safely strapped down in a car seat, and you tend to break slowly to ensure they are not thrown around the car, the last thing you want is another driver ploughing into the back of you whilst your dog is on board. 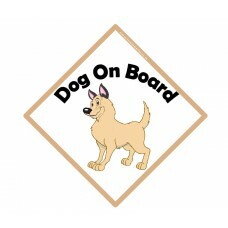 A dog on board sign helps warn drivers to give you a bit of distance, whilst also sprucing up your motor for your dog. 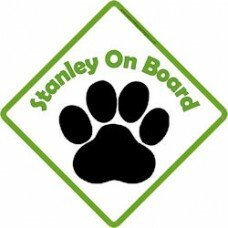 If you can’t see the pet on board sign that suits your needs, then why not consider a create your own photo sign? 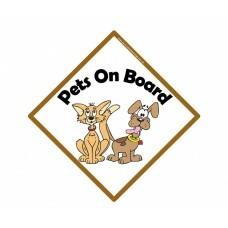 Simply send us a photo of yourdpet, and we’ll put it on the sign for you. 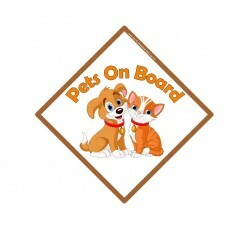 You won’t find a more unique and personalised pet on board sign anywhere else!